Tag Archives for " go2kitchens.com "
Ross Brand with your Livestream Universe Update and Flash Briefing for Thursday, May 24th, 2018. 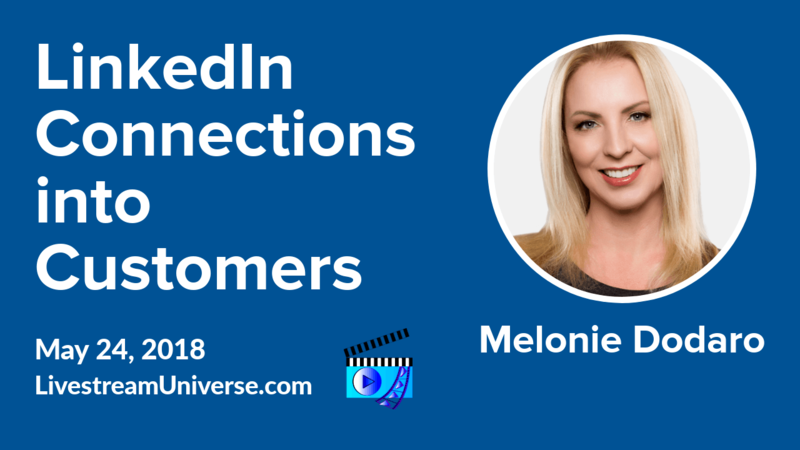 Melanie Dodaro is one of the world’s leading LinkedIn experts and the author of the number 1 international best-seller “LinkedIn Unlocked.” She is offering a free live masterclass at 1pm ET today entitled “LinkedIn Unlocked: How to Turn Cold Connections into Clients.” A link to register will be in the show notes at LivestreamUniverse.com. At 12:30pm ET, it’s Coach Jennie Live on YouTube Live! Learn how to overcome your inner naysayer and get out of your own way. That’s at YouTube.com/CoachJennie. At 3pm ET, it’s Live Positive with Jeff Adams on the BeLive TV Facebook page. His guest is Jon Ward of JonnyGrand Films, a Nashville, Tennessee based production company making professional music videos, short films, commercials and visual effects. At 5pm ET, Stephanie Liu hosts Lights, Camera, Live. Mike Allton of AgoraPulse joins Stephanie to talk about GDPR as the deadline for compliance approaches. That’s on the Hey Stephanie Liu Facebook page. And at 9pm ET, Jim Collison hosts Home Gadget Geeks. View at theaverageguy.tv/live. 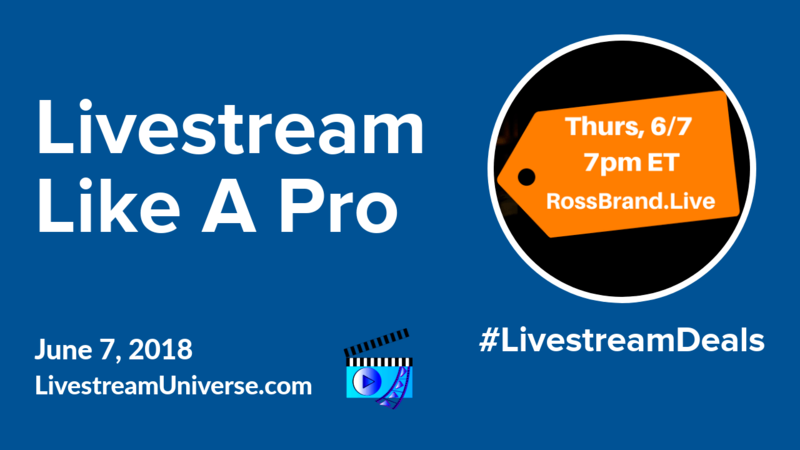 Ross Brand with your Livestream Universe Update and Flash Briefing for Thursday, May 17th, 2018. There’s a new app for watching TV on your mobile phone. 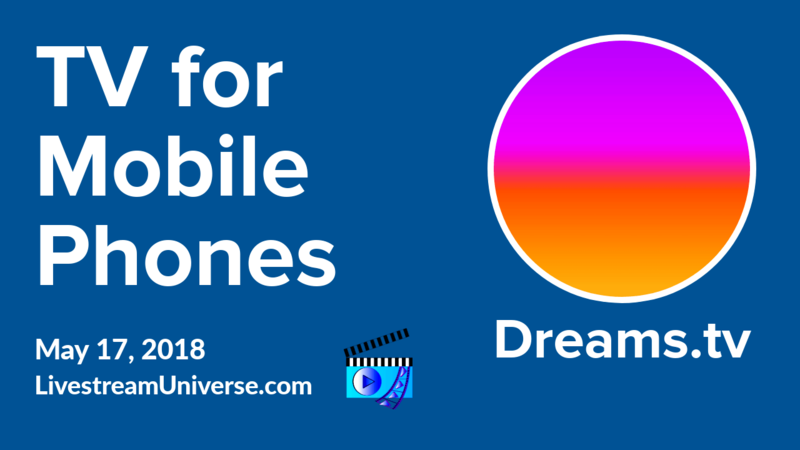 It’s called Dreams and it launched publicly this week with 10 new mobile TV channels. VideoInk reports Dreams TV has raised 5 million in Series A financing. Content partners include Bloomberg Media Distribution, Discovery and the BBC. Those seeking live programming can check out Newsflash featuring live feeds of major world events. There is also a popup channel called Wedding Week that will live stream the Royal Wedding on Saturday. At 12:30pm ET, Mondays to Fridays, it’s Coach Jennie Live! Learn how to overcome your inner naysayer and get out of your own way. Coach Jennie specializes in working with solo entrepreneurs. Check out her daily livestream at YouTube.com/CoachJennie. At 2pm ET, Tuesdays to Thursdays, it’s Lunch with Leslie, hosted by Leslie Nance. Make your body inhospitable to cancer through you kitchen as Leslie shares delicious, healthy recipes. That’s Tuesdays to Thursdays, 2pm ET, on Twitter Live at @go2kitchens. At 3pm ET on Thursdays, it’s Live Positive with Jeff Adams. If you didn’t catch his latest episode, Jeff talks about how to recover from storms in your life. Watch the replay on the BeLive TV Facebook page. And at 9pm ET on Thursdays, Jim Collison hosts Home Gadget Geeks. View at theaverageguy.tv/live. Ross Brand with your Livestream Universe Update and Flash Briefing for Friday, May 11th, 2018. 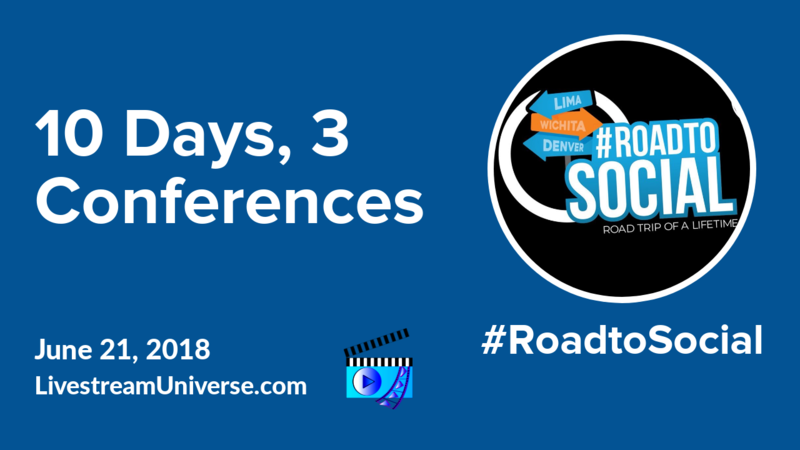 If you’re looking for a Twitter chat about live streaming, check out the new #StreamerChat hosted by Ileane Smith on Saturdays at 2pm ET. 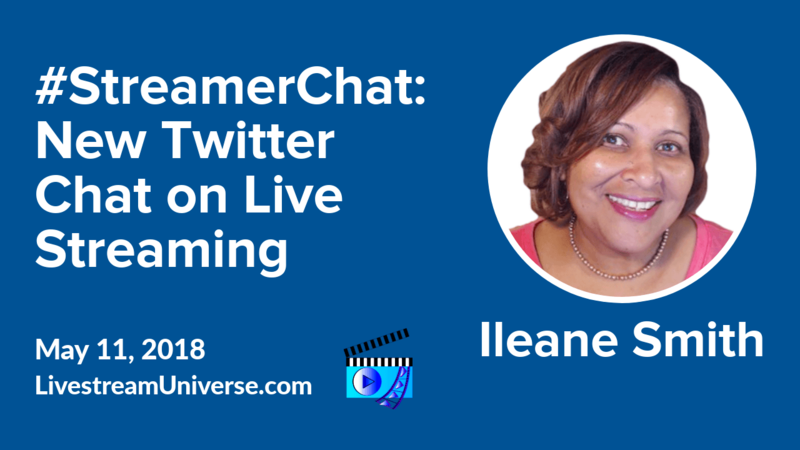 You can Tweet Ileane your live streaming questions using the hashtag #streamerchat. Tomorrow’s topic is getting started with live video. At 1pm ET today, it’s The Yes and Brand Show with Kathy Klotz-Guest. 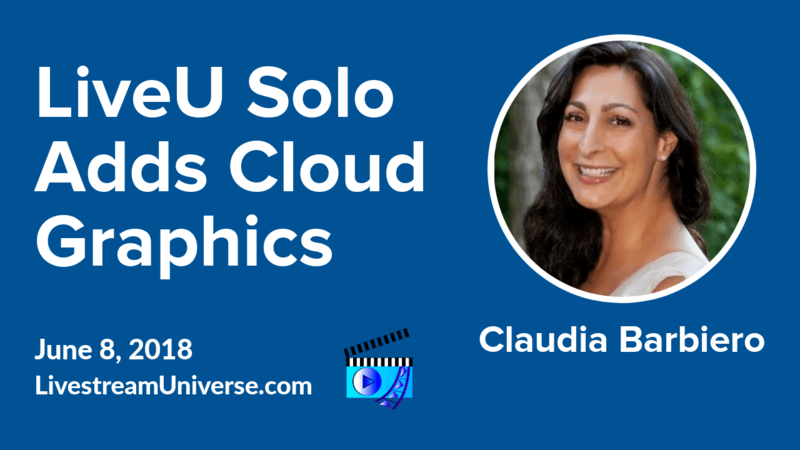 Lately CEO Kate Bradley Chernis joins Kathy to discuss her journey from radio to software. That’s on Kathy’s personal Facebook profile. Ross Brand with your Livestream Universe Update and Flash Briefing for Thursday, May 10th, 2018. The music industry excited about the future of live streaming to social media platforms. What’s most interesting is that live video of concerts is actually increasing concert ticket sales. Musicians can monetizing live streams through premium charges for access to view entire concerts, since that won’t have a negative impact on concert attendance. At 2pm ET, learn how to make Mother’s Day breakfast nachos on Lunch with Leslie, hosted by Leslie Nance. That’s on Twitter Live at @go2kitchens. At 3pm ET, it’s Live Positive with Jeff Adams on the BeLive TV Facebook page. Eddie Garrison joins Jeff to talk about how not to be a lone wolf on your entrepreneurial journey. 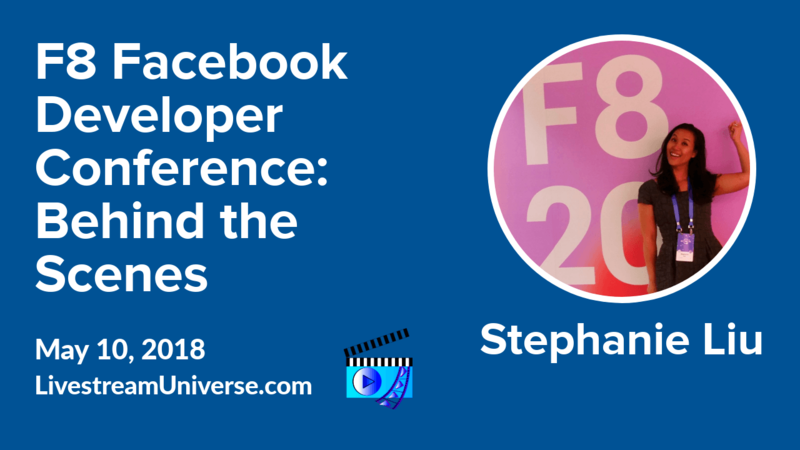 At 5pm ET, Stephanie Liu takes you behind the scenes at the F8 Facebook Developer Conference. Catch Lights, Camera, Live on the Hey Stephanie Liu Facebook page.